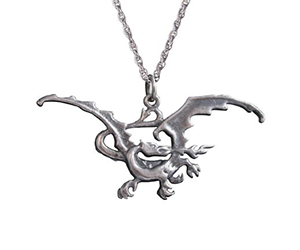 Wear this Smaug Silver Necklace as a symbol of your admiration for the last great dragon of Middle Earth! Despite being pictured as a negative character in the Hobbit’s sequel, we couldn’t deny the charm and might of the ancient creature! This medallion lets you hold the mystical power of the dragon who captured the mountain of Erebor, all its riches and made it his lair!